ET JHX-1 Selfie Ring Light Lazy Phone Holder can be worked as eye protection table lamp, phone holder, tool of taking photos and live streaming. 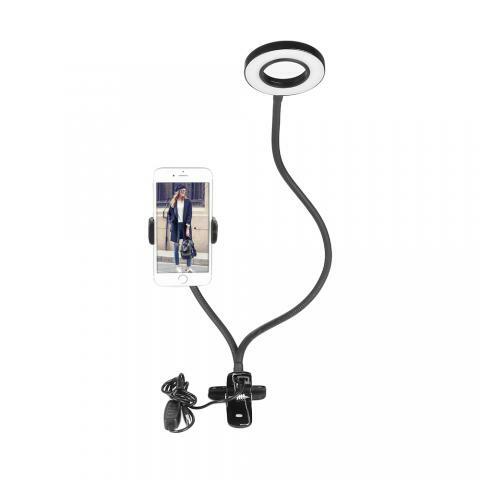 With the Selfie Ring Light Lazy Phone Holder, you can adjust it to any angle at will to take photos, shoot videos or do live streaming with 10-level adjustable LED to making up. The width of fixed section can be up to 70mm to be suitable for tables of different thickness. 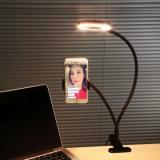 Being compatible with 50-85mm wide phones, such as iPhone8/7/6Plus and Samsung S9, the holder is powered by multiple devices with USB cable, for example computer, power bank and etc. With this lazy phone holder, you will enjoy your shooting time. 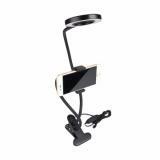 • Quick link: Z73 Wireless Car Charger Phone Holder. I really needed something to hold my iPhone 8 plus in a vertical position without falling over - and this did! I previously had a tripod holder and the weight of my phone was too heavy and it would tip over and not hold my phone in a vertical position. The light is actually very bright and is nice because you can adjust the brightness. The only thing I wish was different was that the cord to plug the light in was a little longer. If you want to use the light - you have to be sure to be close enough to an outlet, or find an extension cord to use. But for the price, this is a great product! I ordered this item to do live stream videos and recordings for my nail business. It's perfect! The holder for the phone is so adjustable I can angle it down to do a video of my hands or angle up to do a face shot. 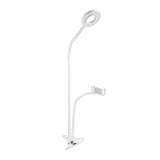 The light is adjustable as well and gives you three light options plus it allows you to brighten or dim the light. 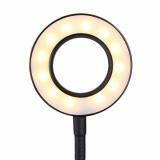 It has a switch on the cord that allows you to control of of the lighting options. The clip is great as well because I can clip it anywhere and it's sturdy. Highly recommend! I am a beginning vlogger on youtube and this back light works perfectly for my space and phone. 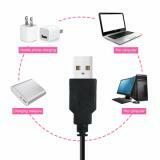 The price is amazing and quality great. 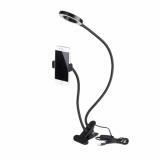 The lights neck adjust in all directions and has very durable materials. If you are on a budget but still want great quality, please buy. I havent posted with it yet, but tried it and should post in a few days. Check me out on youtube at Vintage Sista. Absolutely amazing. It definitely is perfect for my makeup tutorials and after shots. The light is actually very bright and is nice because you can adjust the brightness. The only thing I wish was different was that the cord to plug the light in was a little longer. If you want to use the light - you have to be sure to be close enough to an outlet, or find an extension cord to use. But for the price, this is a great product! I use it for all of my lives on fb.. It's a little hard to manipulate but works well once you have it positioned and propped up. The phone tends to be too heavy and droops over, so you have to proof it up.